This is a 1963 ad for a Norfolk and Western Railway! The size of the ad is approximately 8.5x11inches. 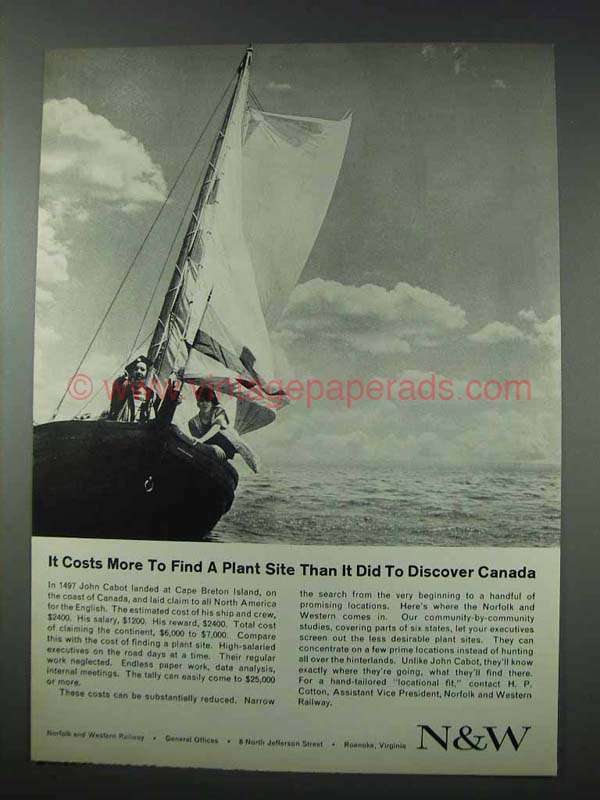 The caption for this ad is 'It costs more to find a plant site than it did to discover Canada' The ad is in great condition. This vintage ad would look great framed and displayed! Add it to your collection today! 1948 Norfolk and Western Railway Ad - What's Wrong?